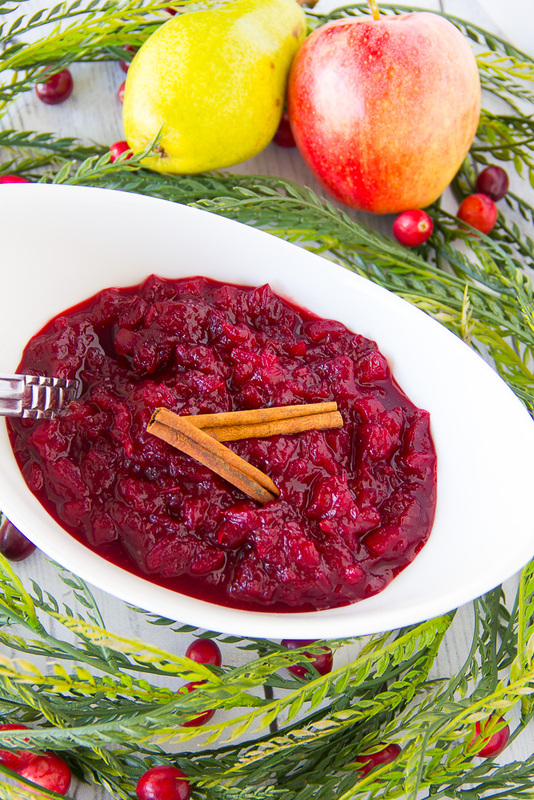 This super easy and delicious traditional sauce made with fresh cranberries, apples and pears is perfect for topping all things thanksgiving! 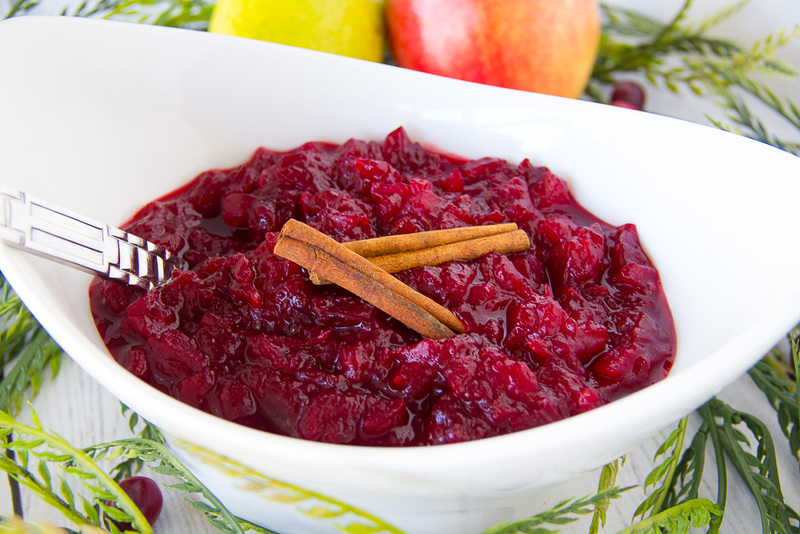 The American Thanksgiving Tradition: Cranberry Sauce. I just can’t eat turkey and cornbread dressing without it! What about you? I just love the sweet vs. the tanginess of it all. The perfect balance of the two is crucial. Growing up we always had that canned stuff though. You know that gelatinous-jiggly-cylinder-shaped-striped object that goes “ploop” when you open it. Yep! That’d be the perfect description if you ask me. Don’t get me wrong. It tastes great but there’s just something not quite right about it in my opinion. Unless I’m making the hubby’s family Peach Dump Pie recipe, I’m just not a big fan of canned fruit. After all, this blog is about using fresh ingredients, right? Are you guys getting excited about Thanksgiving? I sure am as there is so much to be thankful for including the gift of salvation and eternal life through the shed blood of Jesus. Glory to God that Heaven is my home! Where will you spend eternity? Say Grace and enjoy! In a medium saucepan, dissolve the sugars in the orange juice and water over medium heat. 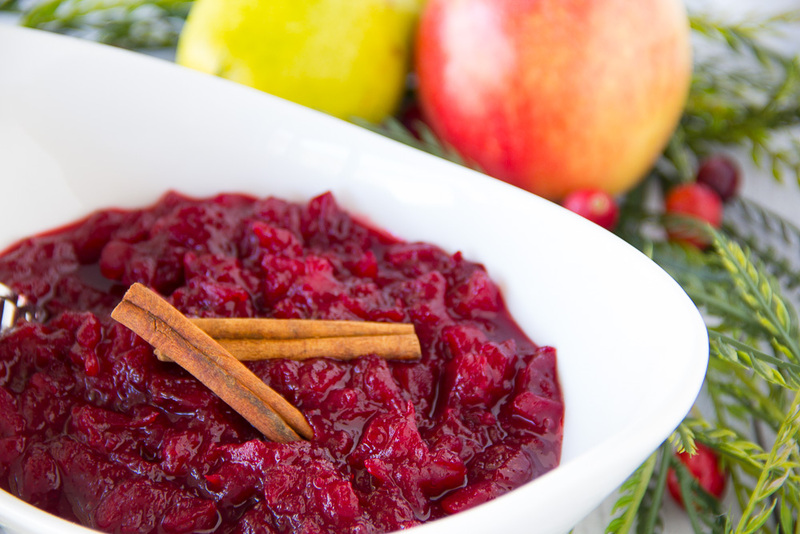 Stir in the cranberries, diced apples and pears and cook until cranberries pop open (about 15 minutes). Remove from the heat, add the cinnamon an mix well. Place in a bowl, cover and refrigerate overnight. Say Grace and enjoy! 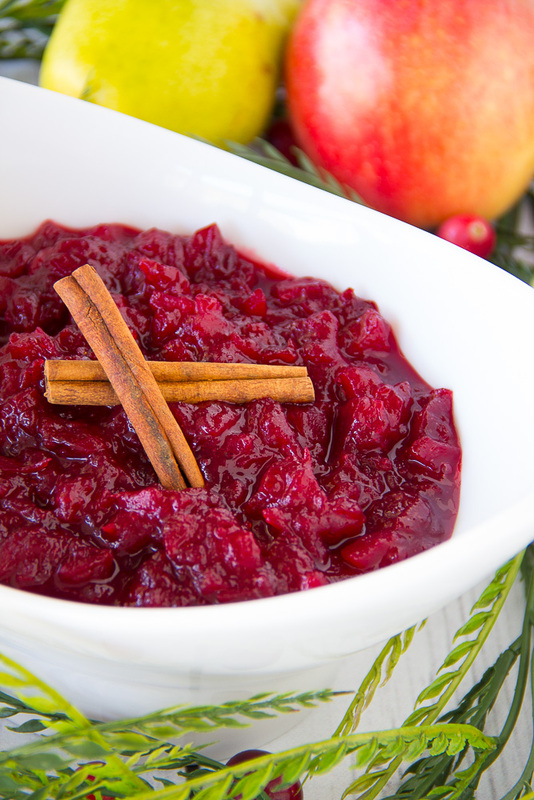 I have never had any kind of cranberry sauce before. I think this year I should change that! It’s a must! Thanks for stopping by, Meaghan! I made this and it is amazing! I did add some walnuts because I really like nuts! Very easy and delicious! Thanks! I am going to try this one! Sounds good. Hey Phyllis! Let me know how it turns out for you. We love it! Thanks for stopping by!! Love your message…in Jesus Christ we pray, Amen. Love your recipe. THANK YOU!!! My husband loves this recipe. He said no more canned cranberry sauce for him.